WWE wrestler Rich Swann has been suspended following his arrest in Florida, where he is charged with battery and the kidnapping or false imprisonment of his wife, Vannarah Riggs, better known under her ring name, Su Yung. Per the Gainesville arrest report, Swann was critiquing Yung’s performance from her Saturday show while the couple was in the car together. Riggs became scared that the argument was going to escalate, and she got out of her husband’s car. A witness then says Swann chased Riggs, put her in a headlock and shoved her back in the vehicle. The witness further told police that Riggs was beating on the window from the inside, screaming for help. Swann denies physically touching Riggs. 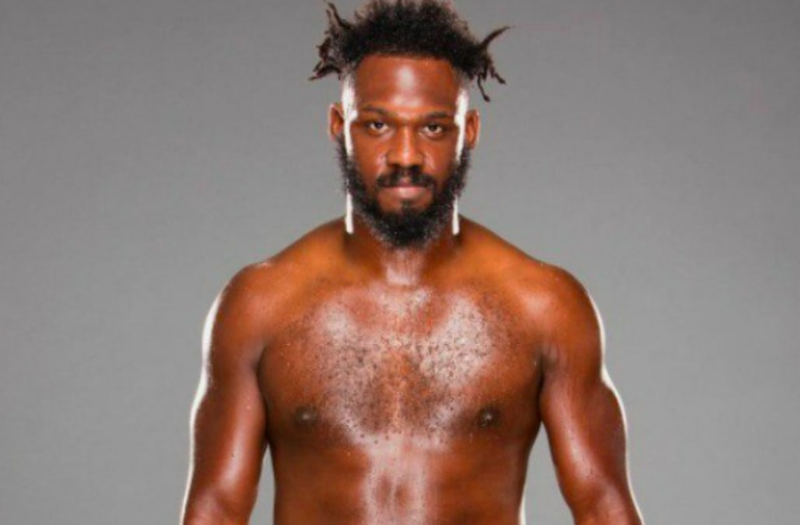 “WWE has zero tolerance for matters involving domestic violence, and per our policy, Rich Swann has been suspended indefinitely following his arrest,” WWE said in a statement Sunday morning. The former Cruiserweight Champion is currently sitting in an Alachua County, Florida jail, where he faces charges of battery and the kidnapping or false imprisonment of an adult. Swann, who came up through WWE’s minor league system NXT, competed in June 2016’s WWE Cruiserweight Classic. The charismatic and high-flying wrestler then made his “Raw” debut on Sept. 19 of the same year. On the Nov. 29, 2016 series premiere episode of “205 Live,” Swann defeated Brian Kendrick to win the Cruiserweight title. He lost the belt to Neville at the 2017 Royal Rumble. In March, Swann married Su Yung — real name Vannarah Riggs — a fellow professional wrestler working the independent scene.